Many people have hoarder’s in their family. If you do, you are going to have your work cut out for you. Even if you are just dealing with one room (or every room), it can seem quite overwhelming to clean up all of their belongings so that you can sell their home. However, all hope is not lost. 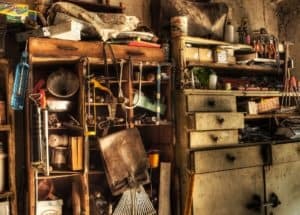 Here are some more tips for cleaning out a hoarder’s home. Tackle one room (or even closet) at a time. When you look at the home as a whole, the process can seem quite overwhelming. However, if you focus on working on one room or closet at a time, it seems a little easier. Once you start to finish a room, you will feel like you have made some progress! Start at the room by the main door. If you start by the front door, you won’t feel so trapped as you go. In fact, you move your piles right outside so you can start to see the floor and walls. This can really help you stay motivated, as you see actual progress being made! As you go through each piece, start to separate them into piles. There are going to be sentimental items that you want to keep and items that you do not. These items can be divided into things that you can sell and ones that you just want to donate. Don’t forget to have a trash pile. Anything that is broken or doesn’t work needs to go into the trash. You have enough to deal with so you shouldn’t keep anything that will require work. Because of the amount of work required, many people don’t want to clean up a hoarder’s home. Instead, they want to sell it quickly without worrying about it. Do you feel the same way? Contact us today. We buy homes in any condition with no clean up or repairs required. You can simply hand us the keys, walk away, and get your money in as little as seven days.